Traveling outside will never be the same after riding Pride Pursuit Rugged Outdoor Scooter. It was crafted especially for bumpy terrain so you can go places you are not able to on a regular mobility scooter. Going over obstacles is not only doable but also comfortable with the large wheels and full suspension. This scooter reduces jarring bumps and jolts to make driving on uneven surfaces fun again. 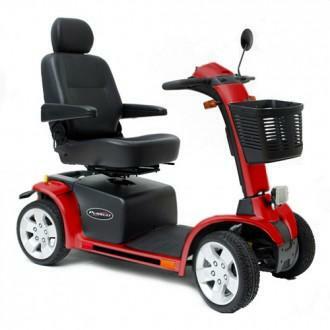 The handles adjust easily and the seat reclines so that this scooter fits your body’s specific needs. Plus, since it has directional blinkers and a headlight, you will be able to see the road in front of you even in low light. 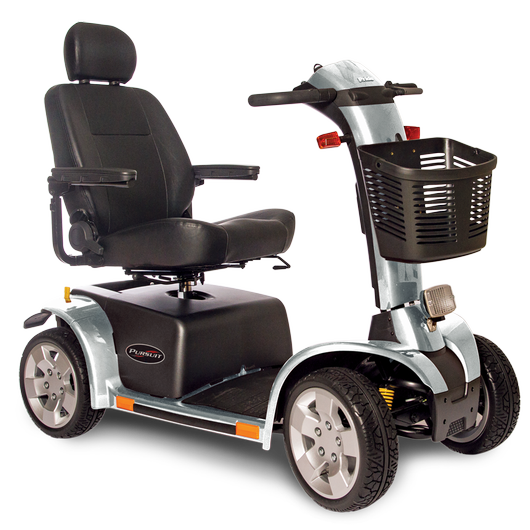 Pride Mobility has created the ideal scooter for those who value the time they spend outside. With the Pursuit Rugged Outdoor scooter, you no longer have to worry about rough ground and can enjoy the outdoors unimpeded. The Pursuit® is a joy to drive, largely due to its powerful drivetrain and large 13" wheels, which make challenging outdoor terrain a breeze. 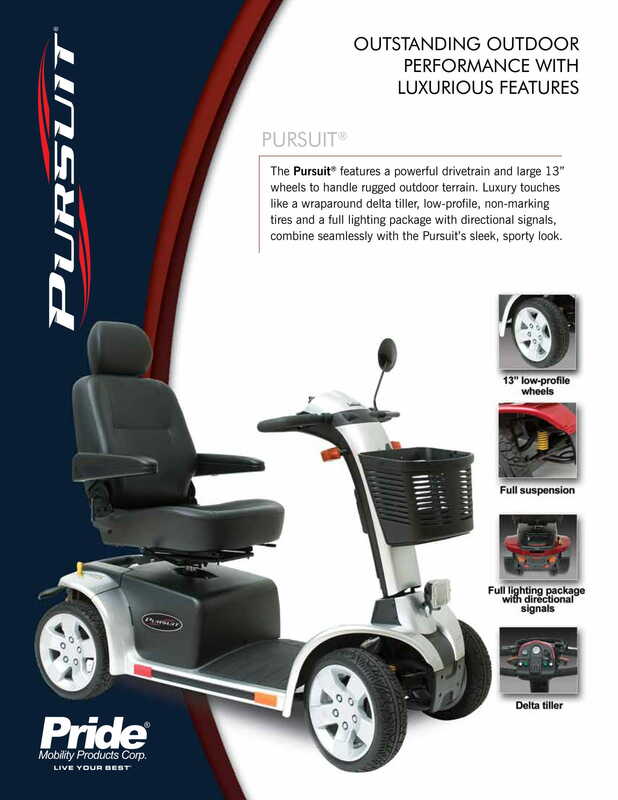 Luxury touches like a wraparound delta tiller, low profile, non-marking tires and a full lighting package with directional signals, combine seamlessly to give the Pursuit® a sleek, sporty look. Other features include an infinitely adjustable tiller angle with a conveniently located handle and a 24V, 4-volt DC motor for increased strength and power. The scooter also comes equipped with a deluxe reclining high-back seat with headrest and sliders, front and rear suspension, as well as easily-accessible tie down points (utilized for transporting the item when it is not being used). Why Pride Pursuit Rugged Outdoor Scooter?